DC’S LEGENDS OF TOMORROW: THEIR TIME IS NOW is an in-depth look at the origin stories of the heroes and villains of the highly-anticipated new series, DC’S LEGENDS OF TOMORROW, premiering Thursday, January 21, 2016 (8:00-9:00pm ET/PT). Featuring show clips and interviews from LEGENDS, ARROW, and THE FLASH executive producers Greg Berlanti, Marc Guggenheim, Andrew Kreisberg, Phil Klemmer, and Wendy Mericle, THEIR TIME IS NOW introduces viewers to the immortal madman Vandal Savage, the time master Rip Hunter, and the motley band of heroes and rogues he assembles to try to save the future of humanity: Hawkman, Hawkgirl, White Canary, The Atom, Firestorm, Captain Cold, and Heat Wave. All of the characters have been introduced on 'Arrow' and/or 'The Flash' as a way to build the cinematic universe of DCTV and now will be assembled to take on the immortal world conqueror Vandal Savage. The three shows will be occupying three nights of programming a week for the network including the non-superhero, zombie dramedy 'iZombie' that follows 'The Flash' on Tuesdays. The special is a nice preview for fans unfamiliar with the premise and the team. Following the 'Legends of Tomorrow' special is 'DC Films Presents: Dawn of the Justice League' at 9:30 p.m. An even more important introduction and preview of Warner Bros' 2016 DC Comics initial film offerings - 'Batman V Superman' and 'Sucide Squad.' These will set the tone and foundation for the rest of the comic book movie slate through 2020. 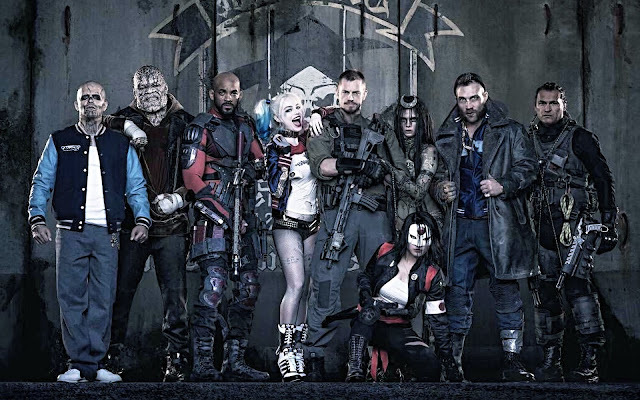 The special will reveal a brand new trailer for 'Suicide Squad' and go behind the scenes of the ragtag team of antiheroes forced to work together in a dangerous covert operation for the government. Kevin Smith will host and talk with Geoff Johns about the future of DC films. They'll also present a special look at the upcoming Wonder Woman film starring Gal Gadot and directed by Patty Jenkins. A lot is riding on these films. Fans like to compare and contrast DC to Marvel's already established series of successful films but DC's fortunes don't depend on rivalries. This isn't DC vs Marvel as much as it's DC's ability to satisfy audiences going forward. 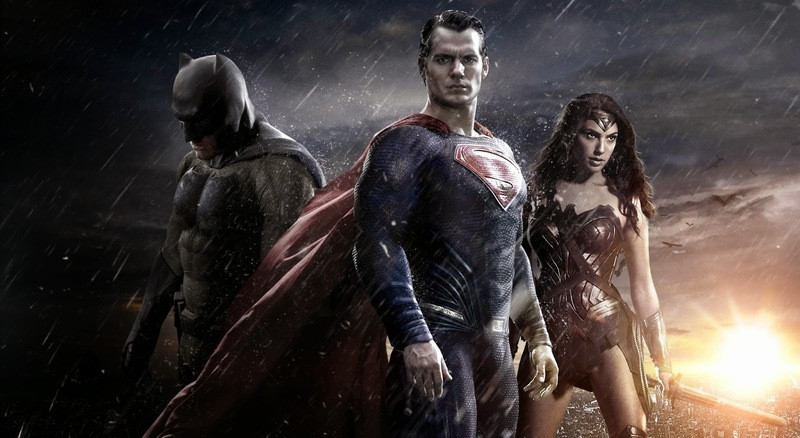 DC's success doesn't hurt Marvel's bottom-line. If DC fails or underperforms it could add to the argument that audiences are feeling "superhero fatigue" and potentially drag Marvel down with them. Marvel's streak of hits, even of their mediocre films, could come to an end. For now, Warner Bros use of corporate synergy, like Marvel's with ABC, to help promote not only their new television series and their blockbuster films via the CW with primetime specials can only help broaden awareness and generate some interest in the heavily invested properties. 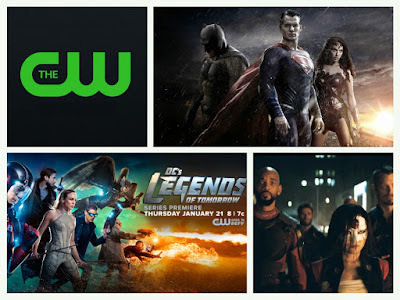 Legends of Tomorrow premieres January 21, 2016 (8:00-9:00pm ET/PT. Batman V Superman: Dawn of Justice arrives in theaters March 26, 2016. Suicide Squad is slated for a theatrical release on August 5, 2016.